A luxurious bolo bracelet from the Hot Diamonds collection, designed with three glittering rows of black cubic zirconia stones for a look that simply dazzles. 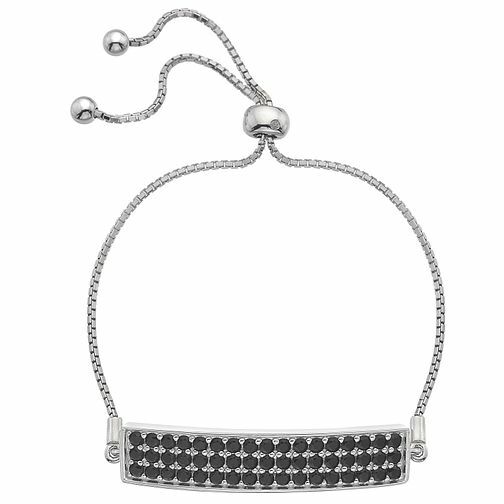 Styled in chic sterling silver with an adjustable pull fastener for comfort. A real diamond is included in the design for added indulgence.